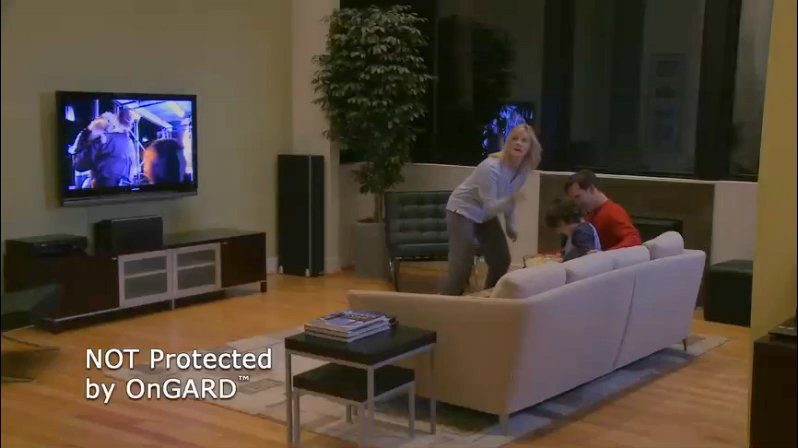 Engineered to prevent home invasions and burglaries, the award winning OnGARD door brace keeps the bad guys out of your home—keeping your family from harm's way. 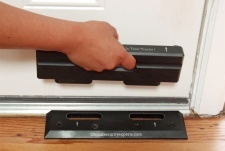 The one of kind security device utilizes the strength of the existing floor and a patented polymer to add the necessary layer of security to your entry doors that deadbolts, chain locks, and standard door frames simply don't offer. The OnGUARD door barricade is praised by the Society of Professional Locksmith and even law enforcement agents worldwide. It is ideal for all entry doors, including French double doors. The ultimate in home security, the OnGARD door brace accommodates virtually any door, threshold, and trim molding configuration. 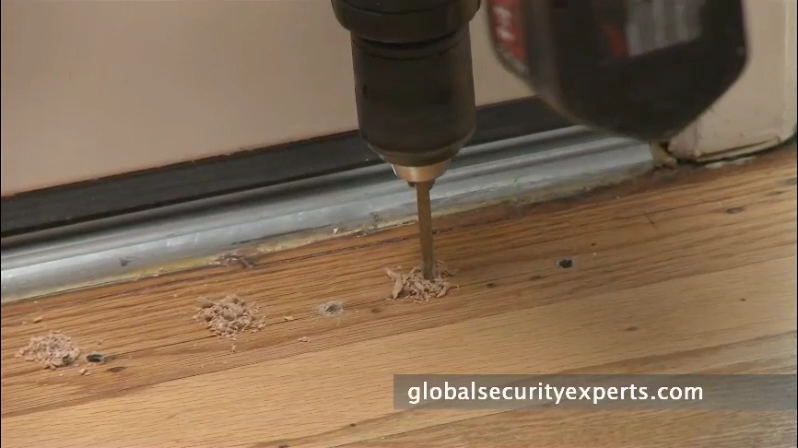 It can be easily installed on most wood, concrete, and tile floors in less than 20 minutes. Shipped complete with installation instructions, drill bit, screws, and Philips head driver bit. *We recommend hiring a professional if your home contains any of the following floor types. Concrete, tile or stone. Additional parts may be required. 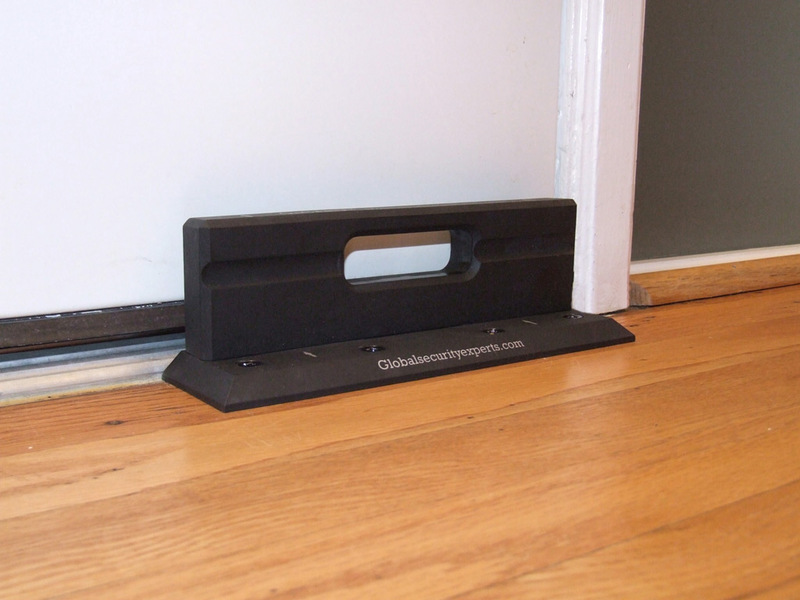 If you have a concrete, tile or stone floor - we strongly suggest having a professional install the door brace. *Included parts are for wood or laminate floor installation only. Weight 1.12 lbs. Top and bottom plate mated. Finish Care and Cleaning of security door brace. A mild soap may be lightly used if very dirty. Particular care should be taken to avoid thinners and strong cleaning solvents as they can damage the finish. Initial care for finishes requires only periodic cleaning with mild non-abrasive soap and extremely light buffing with a soft cloth. Periodically clean-out holes on bottom floor plate by vacuuming and wiping out with mild soap and lint free cloth or qtip. Apply small amount of household lubricant in the holes using a cotton swab. Too much oil may leave residue and will attract dust and dirt. Please note, the OnGARDTM door security brace is not designed as the primary locking device on your exterior leading doors. It is solely intended as supplementary security used in conjunction with your current door hardware. I am not much of a reviewer but I am beyond relieved with my purchase...so here goes...I started looking for alternative ways to protect my family and home after a recent home invasion in my sister's neighborhood. I am a single mom with 2 young kids and was naturally very disturbed by the incident. I spent a lot of time researching various locks and door braces that all claim to keep the bad guys out. I looked at product ranging in price from $15 to $350. I was made aware of this product by a friend who sent me a link to some demo videos on youtube....I was very impressed by how the product performed. 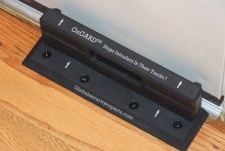 After reading and comparing features and reviews of various products ,I settled on the ONGARD Door Brace because it seemed to perform best on testing, seemed to be the sturdiest and seemed to be the least obtrusive looking. I received the product a few weeks ago and am very pleased with the quality of the product...installation was a breeze...I am no handy woman but I do own a drill and that's all I needed...they even included a drill bit, extra screws and provide very easy to follow video instructions! Packaging was excellent and arrived very quickly. My 6 year old can easily put the lock in place...My family and neighbors that have seen this lock are all so impressed and several have since ordered this product for themselves. For me, this product was worth every penny of the $[...]. Even though it was little more than I originally wanted to spend, now that I have the product installed - I am glad I did. You just can't put a price on the safety of your family....we all sleep better at night knowing that the bad guys can't come in. We are also trying to get in the habit of leaving it on all the time... even if we are at home during the day. Pleasantly Surprised Short and sweet- I am 70ish years old and recently widowed. The reality is I am alone now and I my sense of security is not what it once was. After talking to my local locksmith I decided purchase two door braces. The ease of use(again I am no spring chicken)and my locksmiths endorsement helped me finalize my decision. At my age, and having no experience with a drill I opted to have my locksmith handle the installation. So my locksmith also replaced my 25 year old deadbolts on two of doors and he suggested I also look into some outdoor motion detection lighting. I also purchased a wireless panic button for my alarm system that dials the police instantly. 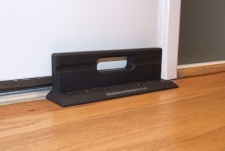 The door brace is very very strong and I feel more secure in knowing an intruder cant easily kick down my door. Just installed this product. If you have a wood floor you can do it yourself. There is a great youtube video on this. You should definitely check it out. But it took me about 5 minutes to do. 1) Place bracket in front of door and figure out where you want it and ensure clearance. I pulled it back from the door 3/4" to give more hand room when pulling out the handle. I also pulled it back from the door jam a few inches so it can't be seen or manipulated through the door crack. 2) Pre-drill the 4 holes. I pre-drilled, but also drilled the wood flooring itself to the next size because the wood used was so hard to screw into. It works just as described. It is effective and easy to use. I picked this over a pole because the pole is easy to get past with a ruler and the pole itself is either too heavy (buddy) or breaks like a twig (masterlock). Plus if you drop a pole, it may damage your floor. I picked this over another deadbolt, because if the 1st deadbolt is broken past, the second one wont help at all. Let me begin by telling you - I purchased a door jammer pole thingy and after two weeks it broke. Not only did it snap in half, it left a black mark on my white tile floor.Like most homeowners I did not desire to spend a lot of money,however I wanted good protection for my family. Well it appears thats not possible. I sadly learned you cant spend $20 - $60.00 dollars and expect adequate home security protection. I found some great Ongard demo videos on youtube- thats what really sold me. Anyway following day.. I cringed and reached in my wallet grabbed a credit card and purchased one Ongard door brace. Lets just say- I am very happy I spent the extra money. 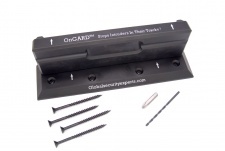 The ongard is built like a tank,easy to install and appears it is nearly impossible to defeat. The local crime prevention officer/(my neighbor) saw the Ongard and stated he never saw such a study device. I am now ordering three more for my other doors. BTW: if you have a concrete floor- you will need to purchase different screws. The enclosed screws are for wood or similar floors. A little pricey- but, can you really put a price on your families well being. I am impressed. Like having Hercules at the door. Looks clean installed. Very solid. Arrived fast and packaged very well and professional. I will buy his SHATTERGARD next for our windows. Get this, it's worth the money. Finally, always say your prayers to God Almighty before bed who's "Angels encamp those that BELIEVE." That is the best security in the end. Enjoy! It kept my house from being burglarized. Frame damaged but no entry. This is an unbelievable product! 100% as described. Prompt Shipping. Excellent Communication. Great product. Got it quickly. Will probably buy another one. Arrived quickly and complete. Great experience and seller. Thank you. Spectacular! I bought four - installed into concrete w. 1 3/4" Tapcons. Easy! 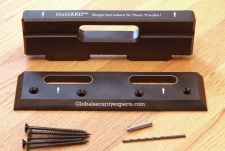 I ordered four of the OnGARD Security Door Braces. I had them all installed in about 30 minutes. This is the easiest, most effective security product that I've seen. As a former police officer, I highly recommend this product to everyone interested in a simple way to effectively protect their families. The only "negative" that I can think of is that the shipping costs seemed high to me. I have installed and recommended the OnGard many times and it is extremely effective, easy to install and simple enough that customers love them. 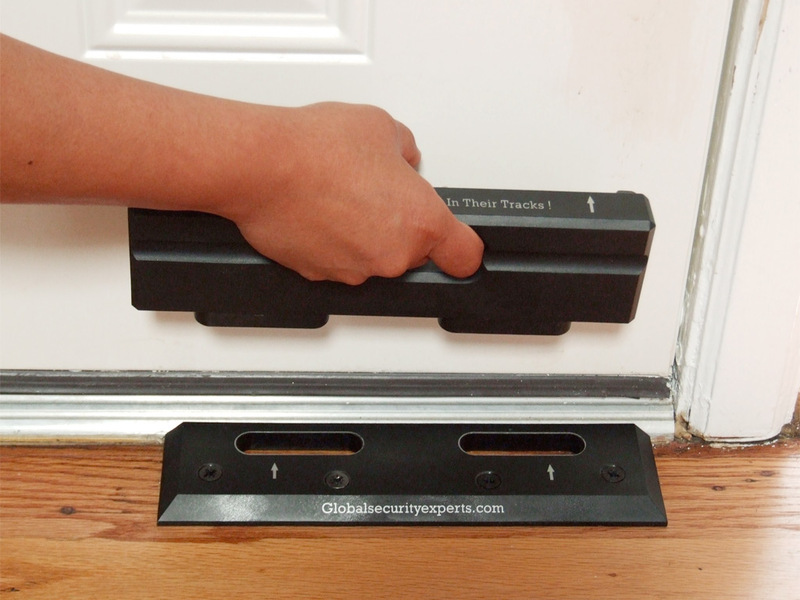 I have come across other types of door blockers that cost less but they also delivered less and honestly there is no comparison. After examining one called Nitelock or Nightlock I realized it did not lock into place like the OnGARD door brace, and could be easily pushed out of its track with a basic slim jim or similar flat piece of metal placed under the doors from the outside of the home. Not cool! I have been very satisfied with OnGard. Now, in modern times if we have a problem with Home Invaders- Who you gonna call? Thank God for Global Security Experts-The makers of OnGard Security Door Brace that I do not do their marketing. But all kidding aside, I purchased their product, OnGard Security Door Brace, back in September, 2011 just shortly after our neighbors had a frightening experience of someone trying to enter their home. Fortunately, there was no entry made and no one was hurt. However, the threat was very real and this could happen anywhere in the world. After we purchased the OnGard brace, it gave us an instant peace of mind that it would buy us the critical time needed to react in case there was an attack. It's not about being tough or being paranoid- it's about not getting caught off guard. OnGard Security Door Brace very effectively does what it claims. 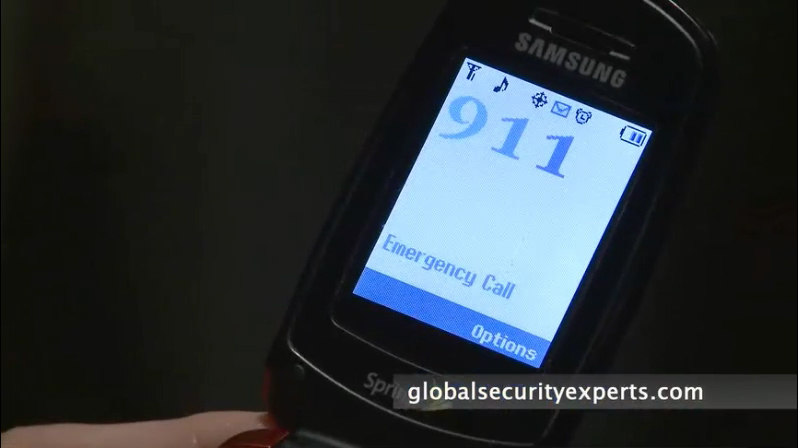 It delays an attack by critical minute, giving you the valuable to time to call 911 and plan your escape or defense. I know that Amazon has a rating system of 5 stars and will all due respect to their rating, Ongard Security Door Brace is off their chart. You would need to double it to give it the correct praise it merits. I hope that we never need it, however, like they say: "It's better to have it and not need it, then to need it and not have it!" I fully recommend this product and am thankful to Global Security Experts for its invention. I have one at the front door and one at the back door. When we leave the house we go through the garage. It's set most of the day and at night. Well constructed and a 'must have' for anyone who realizes the world can be a dangerous place, but if you put layers of protection in place, live your life, don't worry about it, you reduce your chances of being victimized. Love this thing! After researching a wide range of door security products, I decided to purchase OnGARD's door brace for several reasons. First, after watching the YouTube video and reading the product description the brace looked well made and that it could live up to its claims. Second, after watching the installation video I felt that's something I could do myself. And finally its compact design stood out against the others. When I opened the box and installed the device I was extremely surprised as all 3 concerns were quickly and easily proved correct. I even bought 2 more for my parents. 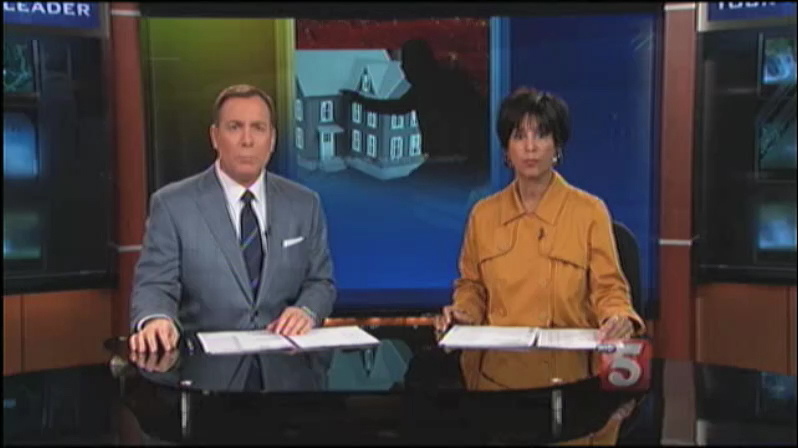 Living during these uncertain times, my wife and I are always aware of our surroundings and want to do everything we can to protect our family, especially at home. 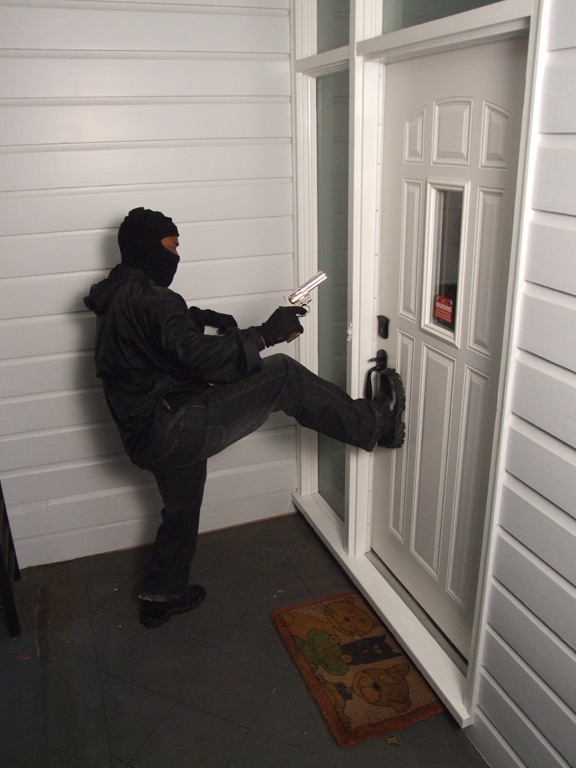 While we have a top-notch security system, we came to find out that most break-ins/home invasions occur through the front or back door. We purchased two OnGARD door braces and were very impressed from the minute we opened the boxes. Quality through and through. Definitely well-designed, quality built and easy to install. We just followed the directions. Now we feel completely safe while at home, knowing that our home is extremely secure against an intruder attempting to kick in a door. To me, this was the missing link in home security. 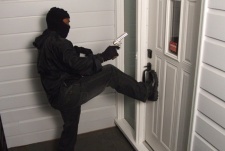 Alarm systems are mandatory, but would be of little help when seconds count and you are face-to-face with an intruder. Thank you OnGARD! I purchased this door brace after using a door security bar for years. The security bar never felt very secure, but the door brace is solid and I believe would keep the door from being kicked open. I really like that it is small and "out of the way." I am a middle-aged woman and had no trouble installing this myself on my wood/linoleum floor. I would recommend the door brace to anyone who wants a simple way to provide extra security to their door. 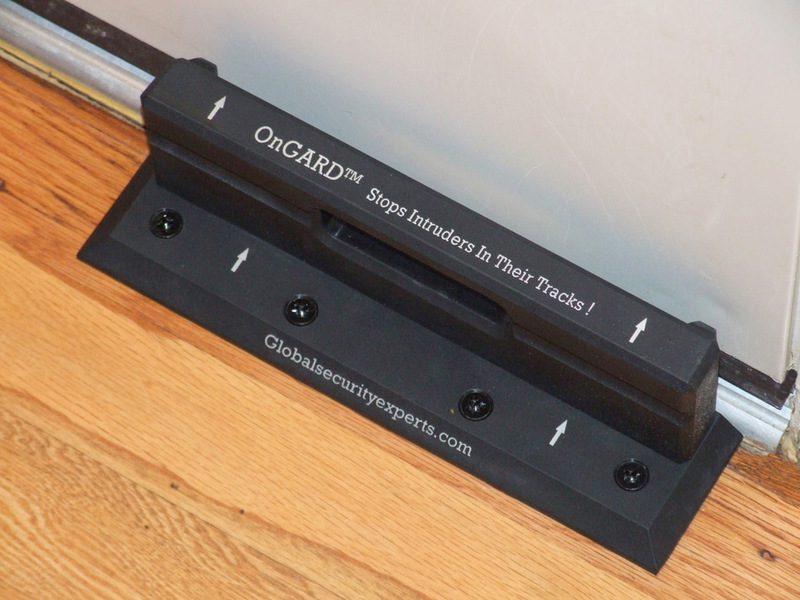 The OnGARD door security brace may be the best device currently on the market for preventing kick in robberies, and home invasions. 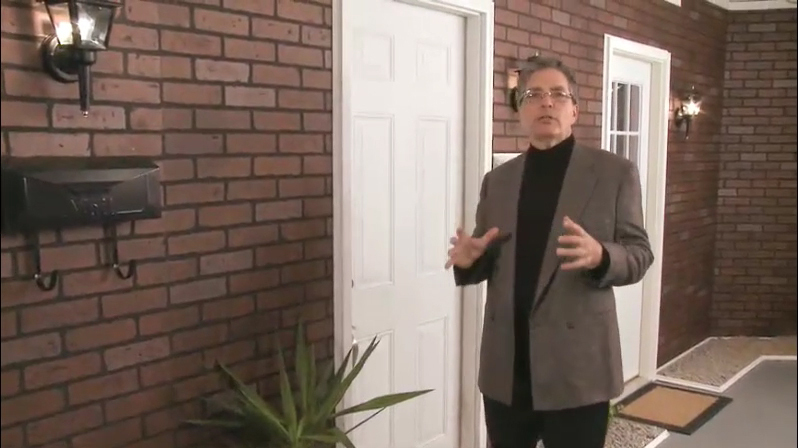 Did you know that the average entrance door can be breached using only one hundred pounds of force? For an average-sized adult male, this can be accomplished with a couple well placed kicks. This fact may be news to you, but trust me when I tell you that most burglars already know this. There are a variety of door security products on the market that claim to be able to harden your doors against these types of attacks, but none of them even come close to the level of protection that the OnGARD door brace provides. It offers simple DIY installation, is affordable and for me to call it effective would be a huge understatement. 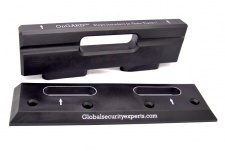 Capable of stopping the worst of the bad guys – When installed correctly, and used in conjunction with a steel framed, steel clad or solid wood door this door security device is more than capable of resisting over 3,197 pounds of force. When you compare this to the hundred pounds that is normally required to kick a door in, you begin to wonder why homeowners even bother locking them, when they can be opened so easily. In fact, an intruder would have to destroy the door itself in order to gain entry, which would be impractical when you consider the noise, effort and time that would be required. Easy DIY Installation…most of the time – The OnGARD door brace advertises itself as being very easy to install, and it delivers on this promise, as long as you are not installing it on tile, or an exotic hardwood flooring, and assuming that there is enough clearance between the bottom of the door and the device. For most people, this will not be an issue, and the only thing required will be power drill, and Maybe 45 minutes of your time. If, however, your flooring is not a standard wood, or there is a clearance issue with the device, special screws and power tools may be required for an proper instillation. In this situation, it will probably be better to let a professional do it for you. Yes, it will add to the cost of what some may consider to be an already expensive product, but when you consider the level of protection, it offers; I think it is a bargain at twice the price. Create an inexpensive safe room – While it is true that the vast majority of criminals prefer to target homes that are unoccupied, there are those who may be looking for more than just your cash and jewelry, and have no fear of breaking in while you are at home. It is during these encounters than many of the unfortunate stories of violence, and sexual assault against homeowners will occur. By installing the OnGARD on your bedroom door you make it almost impossible for an intruder to surprise you while sleeping, and it also provides a safe and secure room for your family to retreat to, in the event of a break in. With the addition of a solid core door, access to a cell phone, and a weapon if you own one, you can easily create a fortress within your home. While it may not be as cool as the one Jodie foster had in Panic Room, it will serve the same basic function. Yes, you still need a home security system – As good as the OnGARD door security brace is, it only protects one of the possible entry points used by burglars and only when the home is occupied. Unless your home has no windows, and you never plan on leaving it, you must treat this product as just one more layer in your overall protection plan. This means that the old standard recommendations about installing an alarm system, outdoor security lighting, and a decent set of door locks will still apply. CPP, CFE, PLE Security, Inc. Please be advised that our company recently purchased an OnGARD Security Door Brace and had an opportunity to install and test it. The OnGARD Security Door Brace was easily installed in minutes. More importantly, the OnGARD Security Door Brace worked exactly as advertised. Our client can rest assured that no one will gain entry through that door. The product worked so well that the client is now interested in adding the OnGARD Security Door Brace to her other doors. With over 20 Years in the security industry, there are few products that grab my attention and leave me as confident as the On Gard did. In fact our companies first On Gard was installed in my parents home. Although I have not received a sample of your product, and frankly had no clue that it existed, I have to say that I researched it and it sounds like a fantastic idea! There are so few non-weapon home protection tools on the market. It is refreshing to hear of a product that focuses on prevention rather than reaction. I have 3 OnGARD`s placed strategically in my home. At first, like my home alarm, my wife had to get used to it. Now, she wont go to bed without ensuring all are "armed". OnGard doesn't just provide peace of mind, it provides a real world layer of protection. I'm quite impressed with the design and function of the OnGARD security door brace. From my years in alarm response, and now as a locksmith, I see break ins every day. The OnGARD adds another point of contact to the door without being obtrusive. Every door in the world needs one of these installed. As a former Special Agent with the Georgia Bureau of Investigation, and a 20 year veteran in the Law Enforcement and Security Industry, I highly endorse the design, functionality, and effectiveness of the OnGARD Security Door Brace. While the strength and design of the Brace is proven effective, No security device is effective if it is not used or activated by it's owner. 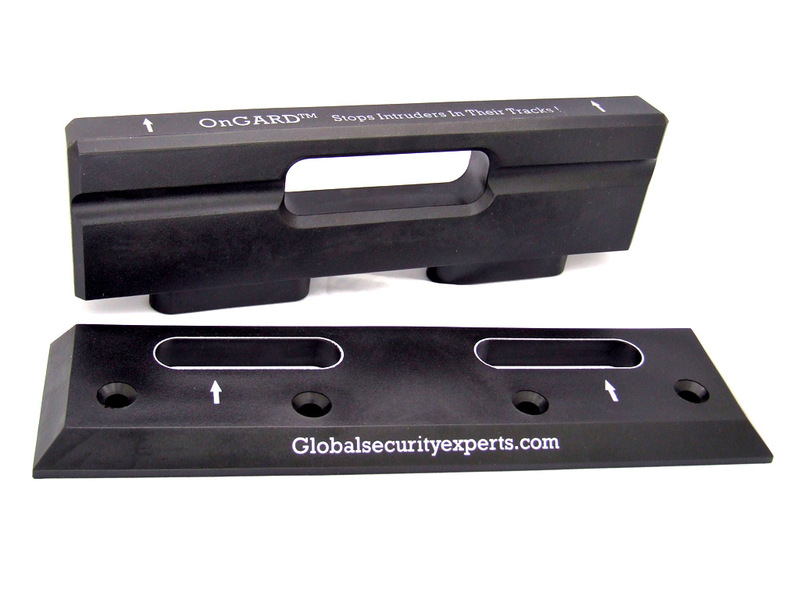 Due to its ease of use, the likelihood of the OnGARD being utilized by it's owner is dramatically increased, thus positioning the Door Brace to be a highly effective tool in preventing break-ins. The simplicity of use and straight forward design of the OnGARD Security Door Brace provides a cost effective solution against forced entry. I consider it to be a "Product of Value"
While visiting the corporate offices of ShatterGARD / Global Security Experts, I reviewed a simulated break-in on doors protected by the Door Brace. It works!! The door frame actually failed before the door gave in because of the brace. I would definitely feel much more secure about a relative being at home alone when this brace was an added component of their home security system. Try it. It's an inexpensive addition to any home protection plan. 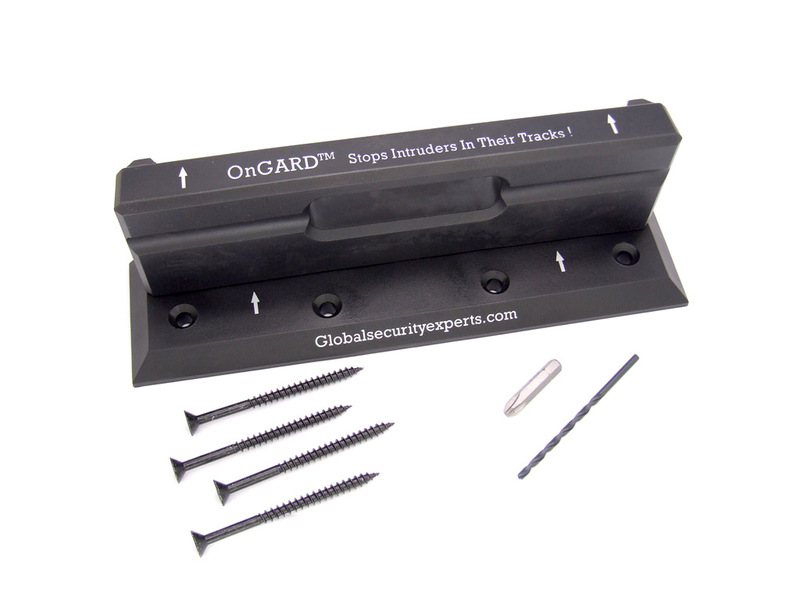 After having installed and tested your OnGARD door brace product, I have found it to be a superior product for stopping burglars from kicking in doors. 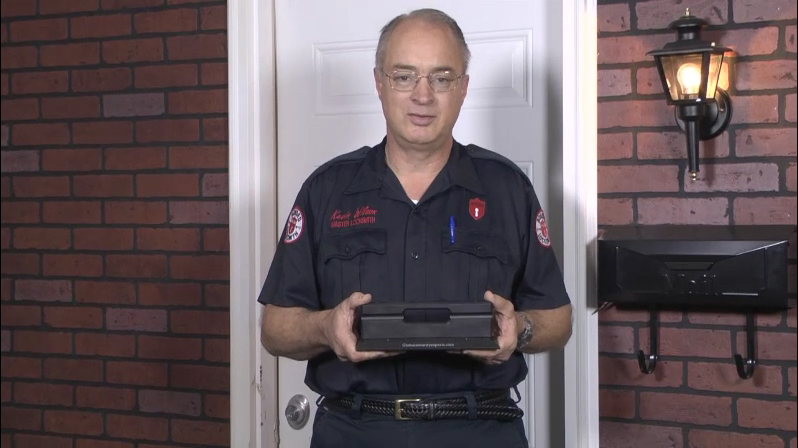 As a Master Locksmith with over 33 years experience in the home security industry, I have personally tested hundreds of devices and I can say whole heartily that the OnGARD door brace fills a tremendous void in an industry filled with cheap inferior products. OnGARD stands out head and shoulders above the competition. I especially like the rubber shock absorbers that protect the surface of the door from marring. 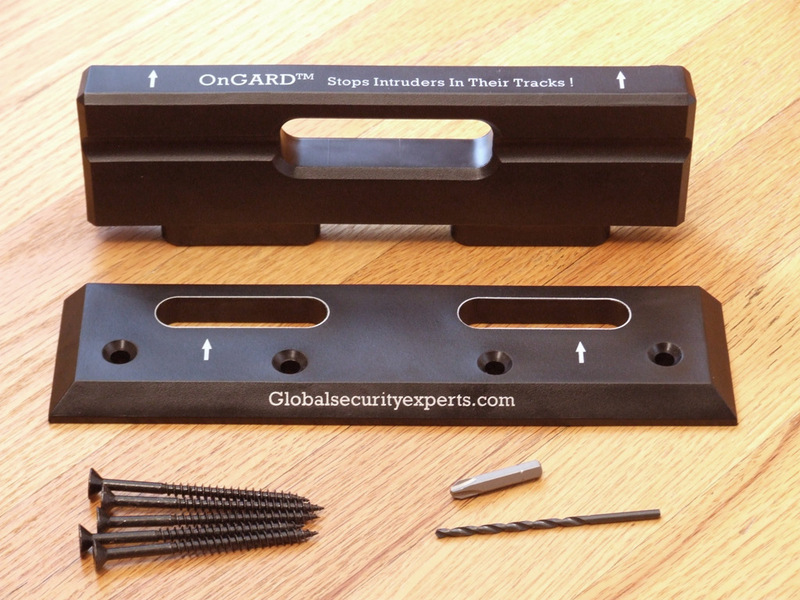 The OnGARD in my opinion is an excellent way to stop forced entry. I wish you much success with this and future security products. Jeffrey Dingle, a former federal law enforcement trainer and Director of Protective Operations for the Carter Center in Atlanta: "OnGARD™ is a revolutionary product: I violently beat against OnGARD protected door with a 30-pound police battering and the OnGARD™ security brace would not bend, budge or break. These results are significant because, in a career where I have tested numerous home security devices, nothing has been as effective in stopping burglars and home invaders as OnGARD™." Mr. Al Corbi world renowned security expert and former senior designer for the U.S. Department of Justice. 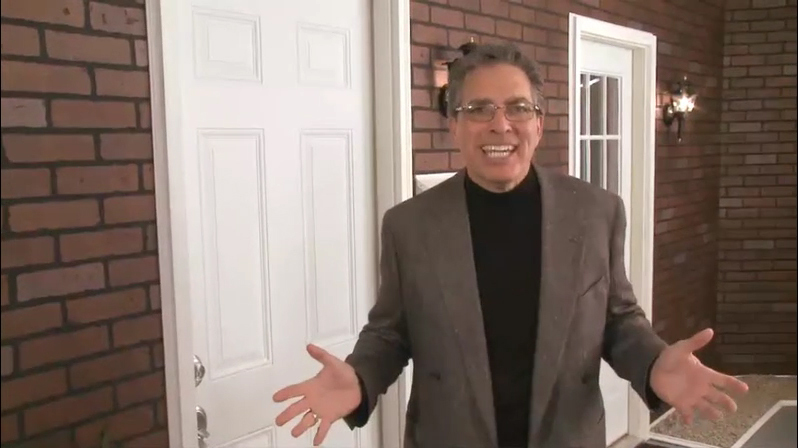 Al`s guest TV appearances include Oprah, Rachael Ray and Larry King Live. Mr. Corbi states, "I don’t know where you could spend less and get more then purchasing an OnGARD". During live demonstrations’ the OnGARD prevailed every time. A 250 lb man could not kick open the door. It’s simply amazing! Installing the OnGARD device is one of the most effective tools in protecting your family from a home invasion or burglary. Homeowners are more complacent when they are in the comfort of their own homes, making for a much easier target for criminals. The simple installation of the OnGARD gives you value time to seek cover and contact the police, where conventional security systems fail. I installed the OnGARD in my home to better protect myself and my family, and I recommend that people consider making that same choice. Leslie needs a new exhaust system for his car. 3 suspects kick in door, steal jewelry in South SF home invasion robbery - KRON https://t.co/FbhrDDgMi7 STOP home i… https://t.co/QCIp29R3kO 5 days ago from Hootsuite Inc.
https://t.co/S39Gx0w9ii 7 days ago from Hootsuite Inc. Apply https://t.co/7kWqpJYiFq to prevent smashed windows. 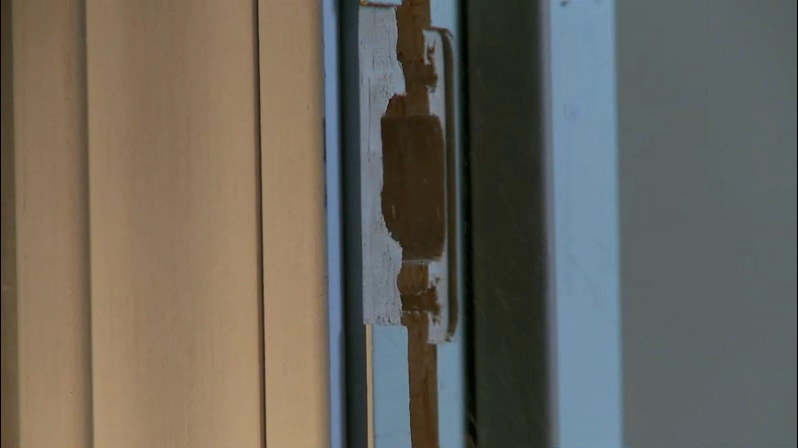 "We will get two or three in a row," neighbors dealing… https://t.co/5EfMkR3Pho 7 days ago from Hootsuite Inc.
Watch "Front Door Security | Door Reinforcement Alternative | OnGARD Stops Burglars & Home Invasions." on YouTube https://t.co/FQ25lrZPSo 8 days ago from Hootsuite Inc.
Watch "What is the Strongest Door Brace? | The OnGARD Security Door Brace Prevents Burglaries | Rated #1" https://t.co/qV03s8Iekt 10 days ago from Hootsuite Inc. I encourage you to place a piece of tape over the camera lens and simply leave the tape in place upon deplaning.. D… https://t.co/XN5SRSdP7l 11 days ago from Hootsuite Inc. Check this out at https://t.co/eYyl5i3D1M Security Door Brace | Door Barricade | Prevents Home Invasions & Burglari… https://t.co/hGL5xwHQHh 12 days ago from Hootsuite Inc.
Police: Home-invading armed teen kicks down door, homeowner shoots, kills intruder. https://t.co/t29WuSEOra… https://t.co/Gyt3PBnzM2 12 days ago from Hootsuite Inc.
Best Home Security Systems of 2019 | U.S. News & Security Expert Jordan Frankel A Winning Combination https://t.co/ylTruLasrM 13 days ago from Hootsuite Inc.
Another Day of Cops & Robber's.Thieves make off with the tires from police cruisers for the SECOND time | https://t.co/eSBqyL3KMh 14 days ago from Hootsuite Inc.
Time for https://t.co/DCJ4LcGV7N Thieves shatter car windows during crime spree in south Florida https://t.co/WnClVPp6ff 14 days ago from Hootsuite Inc.
Watch "VehicleGARD Glass Protection Kits" on YouTube https://t.co/ZurWxqjVyB 14 days ago from Hootsuite Inc. Vehicle Glass Protection Kits by VehicleGARD | Security Window Film Kits https://t.co/rIvCfy4KjV 14 days ago from Hootsuite Inc.
A 3-year-old boy repeatedly entered the wrong password, locked up his dad's iPad until 2067 A 3-year-old boy repeat… https://t.co/BGPLVrFCvh 15 days ago from Hootsuite Inc. Employee Theft: Facts and Prevention Tips from Security Expert Jordan Frankel https://t.co/zqtFNYGwxY #retailtheft #lossprevention 19 days ago from Hootsuite Inc.
Family finds hidden camera livestreaming from their Airbnb in Ireland Family finds hidden camera livestreaming from… https://t.co/BZdHCPoOEO 19 days ago from Hootsuite Inc.
Zillow Homes | 12 Security Tips for Living Alone Safely | Tips from Jordan Frankel https://t.co/4uhnbabRfD 19 days ago from Hootsuite Inc. Check this out at https://t.co/4gy0NP0MQM Security Door Brace | Door Barricade | Prevents Home Invasions & Burglari… https://t.co/zGR9mNntbS 19 days ago from Hootsuite Inc.
Stop Violent Home Invasions. OnGARD Security Door Brace https://t.co/0MySY98Jqz 19 days ago from Hootsuite Inc. The OnGARD Prevents Burglaries & Home Invasions https://t.co/H2oMUbT7mv #homeinvasionsprevention #ongardsecuritydoorbrace 21 days ago from Hootsuite Inc.
#COMCASTSUCKS Check out @SecuritySensei_’s Tweet: https://t.co/SH5zs1BvPN @comcastcares 22 days ago from Hootsuite Inc.
@cnn @fox @comcastcares I advise my followers to discontinue Comcast services. I was basically treated like a farm… https://t.co/RU0oWPvYKp 22 days ago from Hootsuite Inc.